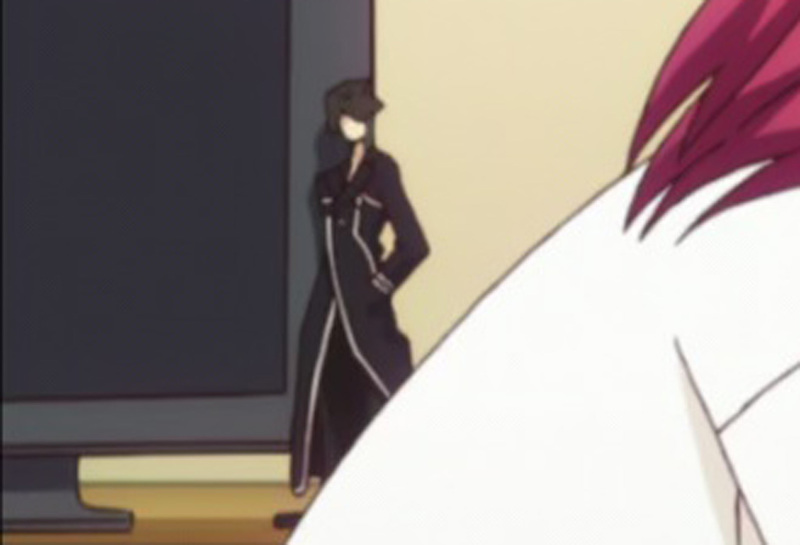 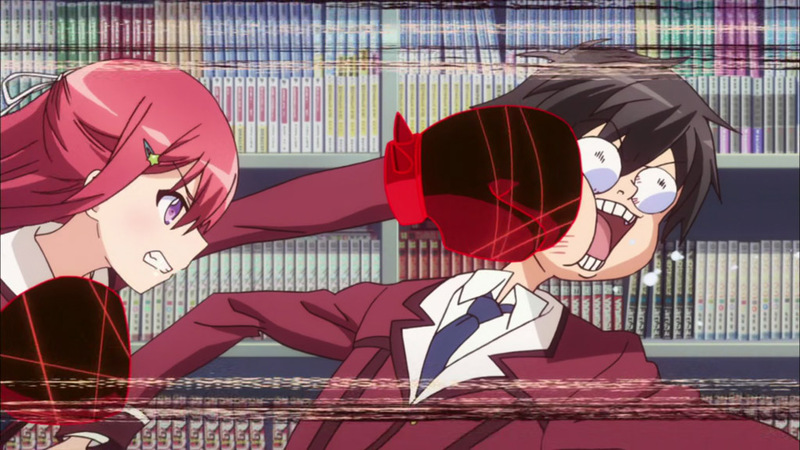 Both, "When Supernatural Battles Became Commonplace" and "Kill La Kill" are anime created by the studio Trigger. 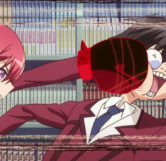 About mid-way through Episode 1 titled, “Alpha Episode (Change)”, when Andou is questioning student body president Kudou about her true intentions for conducting an investigation into the Literary Club, Tomoyo quickly punches Andou to shut him up. 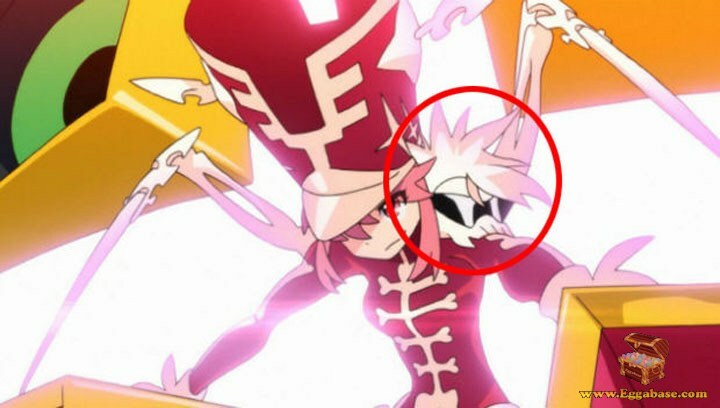 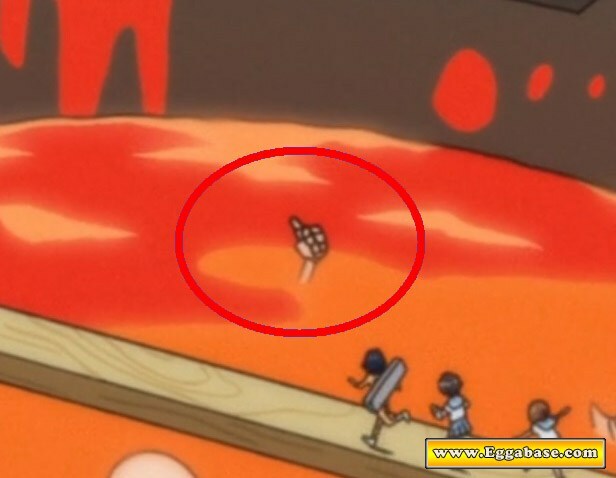 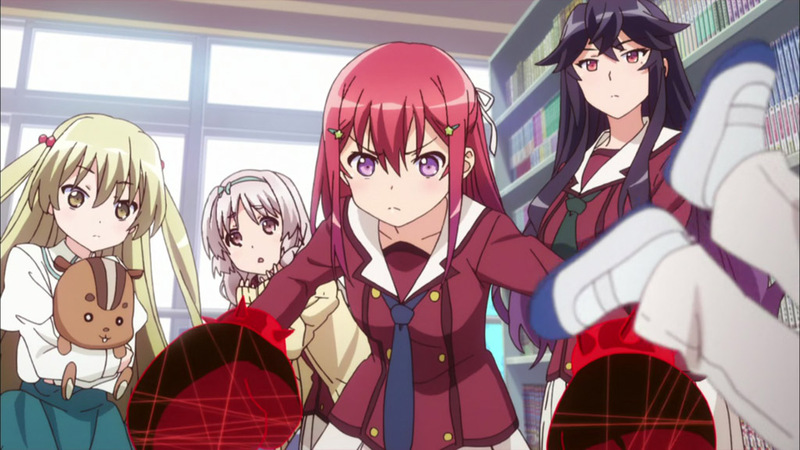 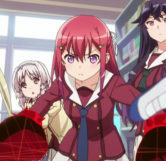 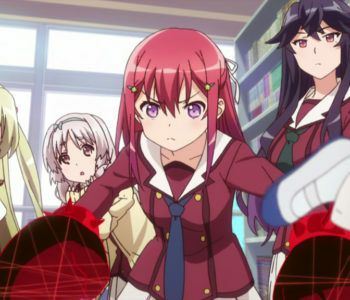 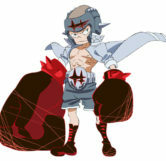 The gloves Tomoyo is seen wearing when she punches Andou are a pair of red spiked gloves which very closely resemble those worn by Takaharu Fukuroda (Boxing Club Captain) in Kill La Kill. 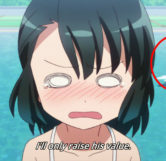 In Episode 3, titled “Rendezvous Point (Encounter)” after Andou gets scolded for looking at Sayumi’s underskirt while the club is practicing tennis, he mentions thanking Chifuyu for creating the tennis court they’re playing on. 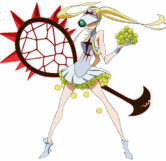 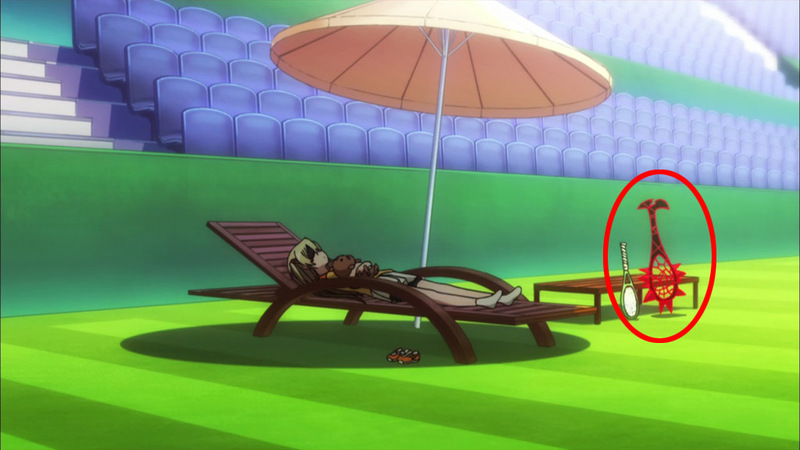 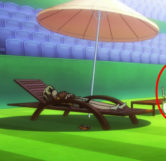 During the scene of Chifuyu lying down on a beach chair if you look at the tennis rackets propped up on the bench beside her you’ll notice the spiked red one resembles the racket Omiko Hakodate (Tennis Club Captain) uses from Kill La Kill. 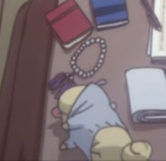 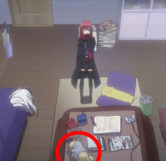 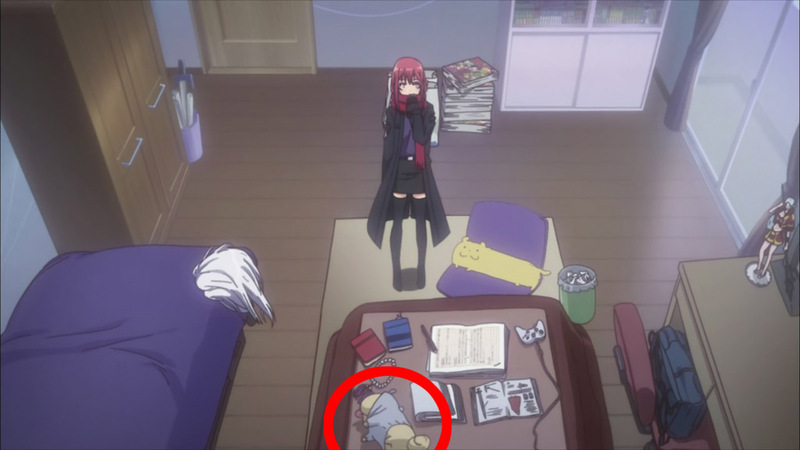 At the very beginning of Episode 10, titled “Fool’s Labyrinth (Maze)” Guts, the Mankanshoku family’s yellow pet pug that wears a sweatshirt can be seen as a doll in Tomoyo’s bedroom after she gets home from her first encounter with Andou. 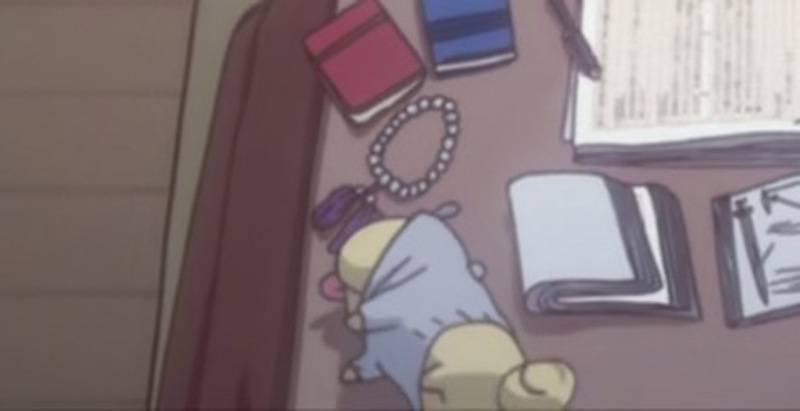 Also in Episode 10 during number two of Madoka’s plan to get Chifuyu to hate Jurai, Jurai ends up “saving” her and she then realizes that at the current rate she’ll only end up making him look better in the eyes of Chifuyu. 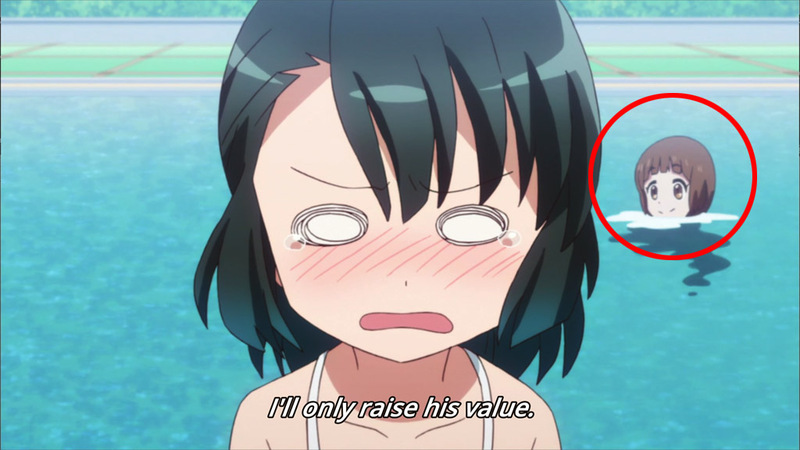 During her revelation if you look in the background at the pool you’ll notice someone swimming from the right to the left side of the screen. 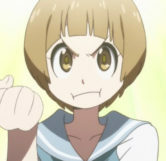 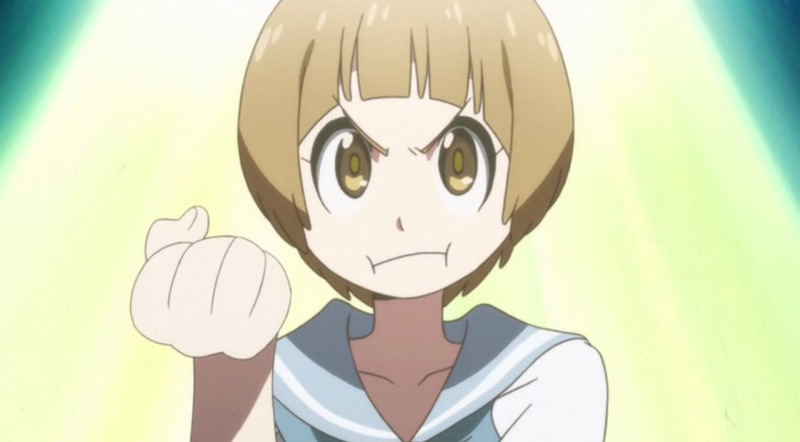 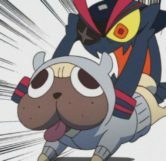 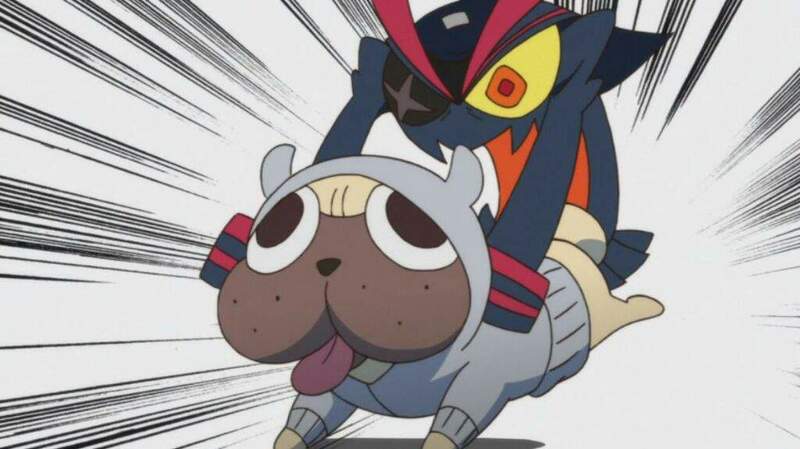 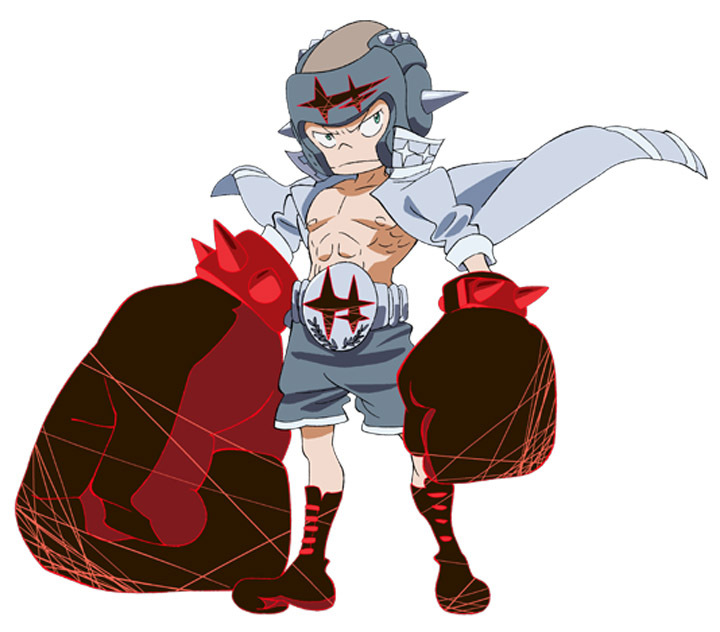 This is Mako Mankanshoku, Ryuko’s best friend from Kill La Kill. 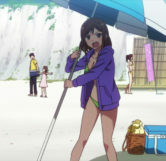 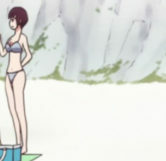 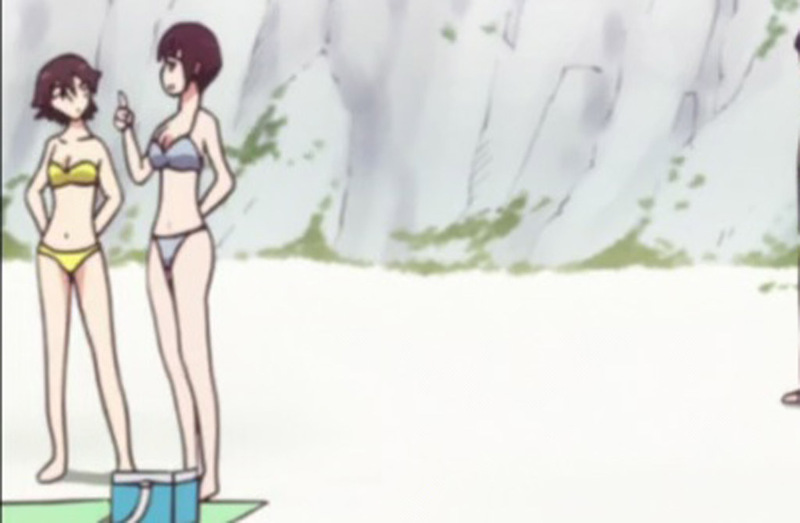 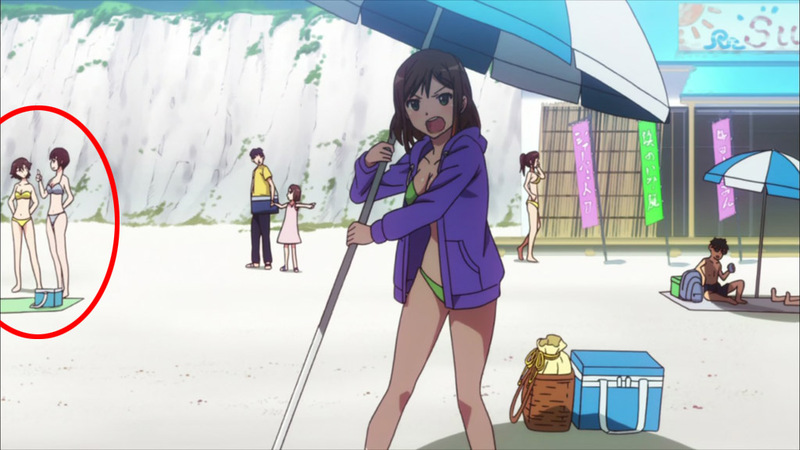 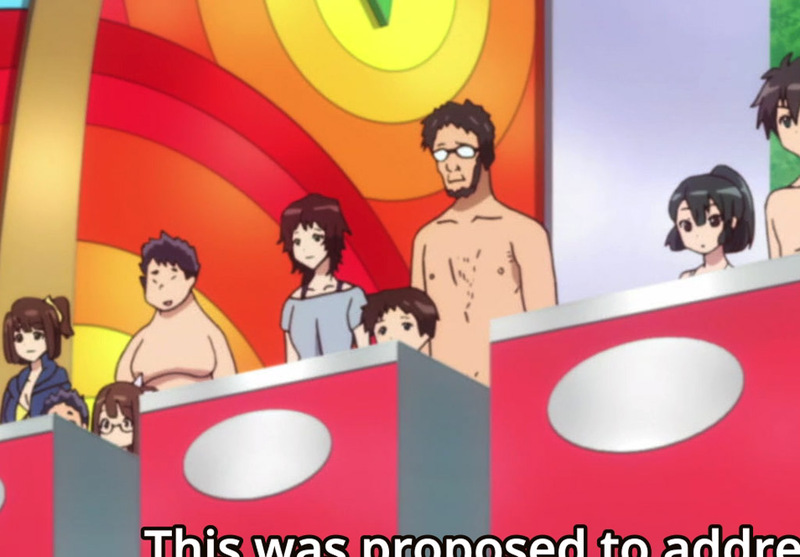 In Episode 11 titled, “Cupid Error (Presence)” when the trio first arrives at the beach and we see Andou talking about the sea before expectedly getting hit upside the head with a bottle by his sister Machi, as she’s asking Andou for help behind her to the left of the screen are two girls standing in swimsuits which resemble Ryuko and Satsuki from Kill La Kill. 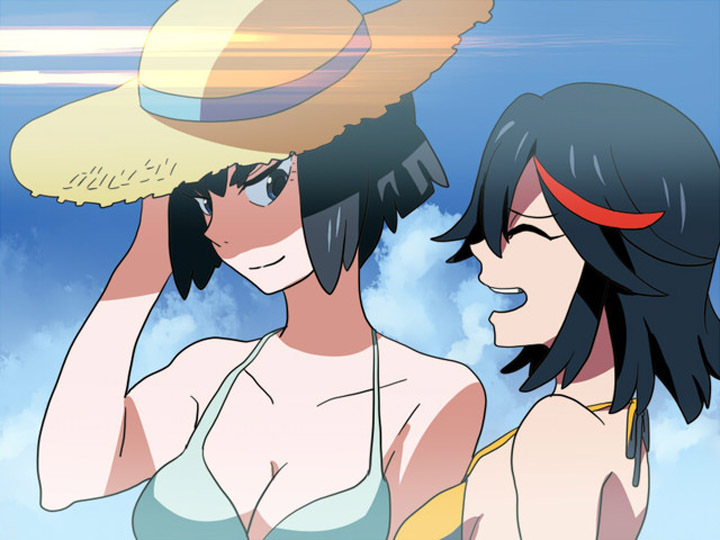 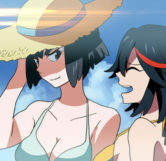 While Trigger has never made an official swimsuit episode, shortly after the announcement of Kill La Kill’s 25th episode which would cover Honnoji Academies “graduation” that was set to release in September of 2014, fan artist Shinonoko created a picture set of the Kill La Kill group at the beach which included Satsuki and Ryuko both in light blue and yellow swimsuits, the same color swimsuits seen on the beach goers in Supernatural Battles.